I live for Fall fashion. 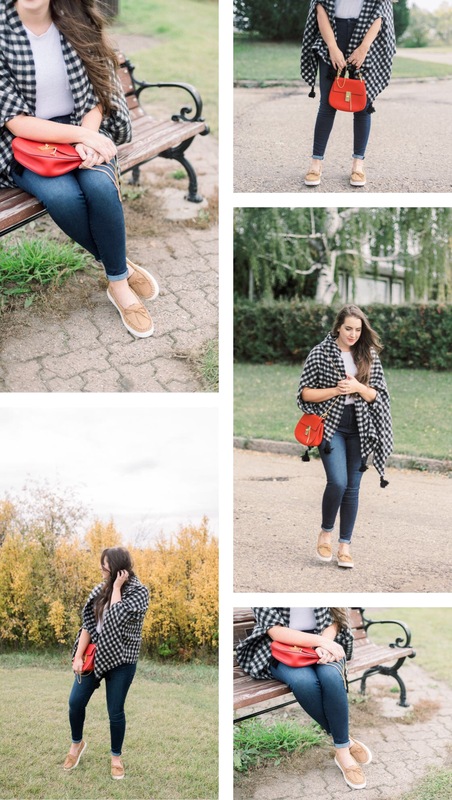 It is by far my favourite style season for more ways than one. I’m so excited to partner with SoftMoc styling these moccasin flats. They are furry on the inside, perfect for keeping me warm for school pick up and drop off but so stylish too. I love the bow detail on the toe. With 125 stores across Canada you gotta visit to see all their Fall offerings this year. They carry brands like Ugg, Sperry, Converse, VANS, Blundstone, Sketchers, Dr. Martens, my fav Hunter and so much more! I know you’ll find the perfect pair to help you stylishly crunch through those lovely Fall leaves. What are you Autumn wardrobe must haves? Disclaimer: This post is paid by Soft Moc but my thoughts and opinions remain my own. This entry was posted in Sales! on October 1, 2018 by admin.